Cenero was recently featured in a great article in Business in Focus magazine, read the article here. Malvern, PA – November 26, 2018 – Cenero, a leader in audio visual, unified communications and IT solutions, today announced it was included in the list of top 50 systems integrators by Systems Contractor News. The list details integration firms who have generated top revenue in commercial AV installations in 2018. 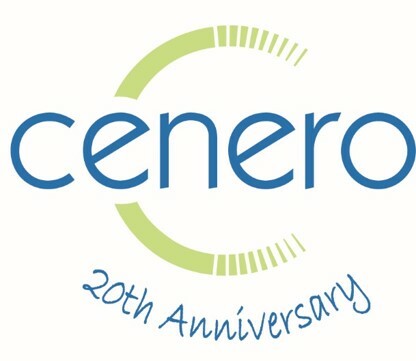 Cenero moved up 11 spots from last year, ranking number 20 on the list. It is due to this commitment to delivering superior solutions that Cenero’s recent work on a large-scale video wall at the Charlotte Douglas International Airport was also recognized by Systems Contractor News as one of their 2018’s Installs of the Year. The 140-feet long video wall features digital artwork that fuses technology, art and design to create an immersive traveler experience. Cenero is a service focused audio visual, unified communications and IT solutions provider. With extensive knowledge of the most advanced collaboration and audio visual technologies, the company’s goal is to deliver programs that improve communication and drive efficiency throughout an organization. Cenero provides systems design installation, managed services, cloud-based video solutions and event services for companies throughout North America. Video wall technology is profoundly transforming the modern travel experience, turning traditional wait times into times of engagement at forward-looking airports around the world — most recently at the Charlotte Douglas International Airport, which just completed a $200-million renovation and expansion of its Concourse A. The nine-gate, 229,807-square foot addition is the first completed project under the Destination CLT initiative, a $2.5 billion capital investment program to renovate the concourses and expand CLT’s roadways, curb front, airfield and terminal. The Concourse A expansion features video walls from NanoLumens®, award-winning creators of uniquely compelling LED visualization solutions in any size, shape, or curvature — and renown digital artist Refik Anadol’s unique “data sculptures” that turn the airport’s invisible patterns of data into captivating and ever-changing content featured on the three displays. This alluring installation, dubbed “Interconnected,” is a part of a total commitment by the airport to reimagine modern travel through the eyes of compelling and immersive digital experiences. The centerpiece video wall for Interconnected sits inside the airport’s Concourse A and stretches 140-feet wide by 10-feet high. One challenge for Cenero was making sure a screen this large would display a seamless image without bezels and also handle all daytime ambient light coming in through the concourse’s many windows. Cenero installed two additional displays in oddly shaped corners in the gates located at the end of Concourse A that are also visible both inside and outside the airport. The trapezoid-shaped displays measure approximately 28×15-feet in one corner and 40×19-feet in the other corner. Each of these displays also run 24-hours a day and are synchronized with the larger concourse display as each has its own distinct visual chapter. The continuing trend of audio visual video wall technology turning the time spent at airports into a memorable part of the overall travel experience is on display in a new and exciting way at Charlotte Douglas International Airport. For the over 44-million travelers that move through Charlotte Douglas International Airport annually, Refik’s Interconnected will surely leave a lasting impression. 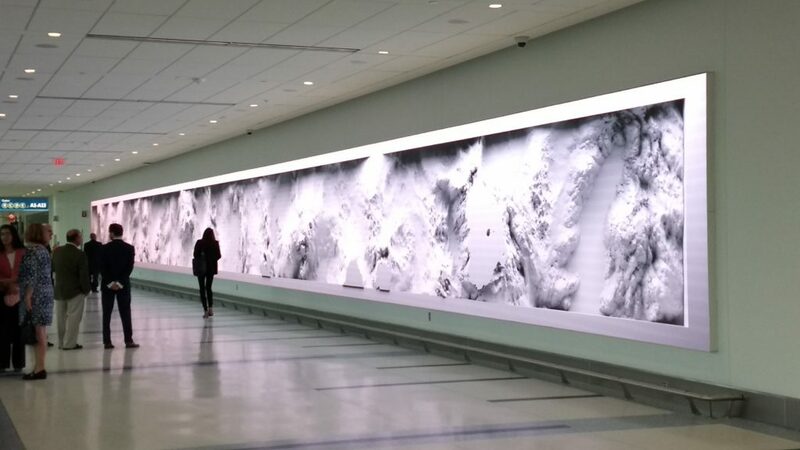 As for the artist himself, Refik added, “The artwork being displayed is constantly changing and evolving as it responds to the ever-changing flow of data, creating a living snapshot of the invisible patterns that surrounds us as we travel to, from, and within Charlotte Douglas International Airport. 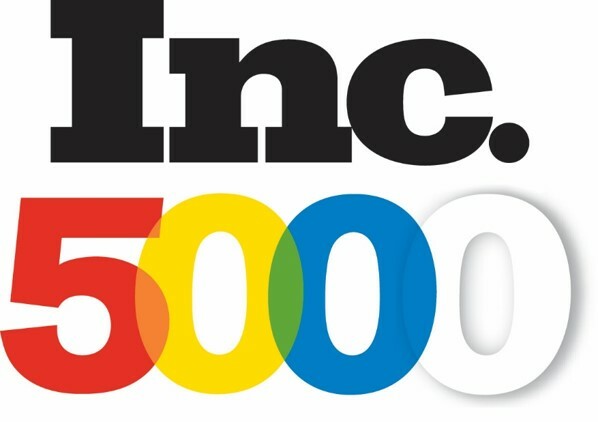 Malvern, PA – August 15, 2018 – Cenero, a leader in audio visual, unified communications and IT solutions, today announced it was included in Inc. magazine’s list of the top 5000 fastest-growing private companies in America for the fifth time. The ranking of the nation’s fastest-growing private companies is based on percentage revenue growth over a three year period. With 91% revenue growth over this time frame, Cenero is honored to be part of this prestigious list of companies. Cenero is a service-focused audio visual, unified communications and IT solutions provider. With extensive knowledge of the most advanced collaboration and audio visual technologies, the company’s goal is to deliver programs that improve communication and drive efficiency throughout an organization. Cenero provides systems design installation, managed services, cloud-based video solutions and event services for companies throughout North America. Malvern, PA – August 3, 2018 – Cenero, a leader in audio visual, unified communications and IT solutions, today announced it was included in Commercial Integrator’s list of fast-growing AV integration firms for the second year in a row. 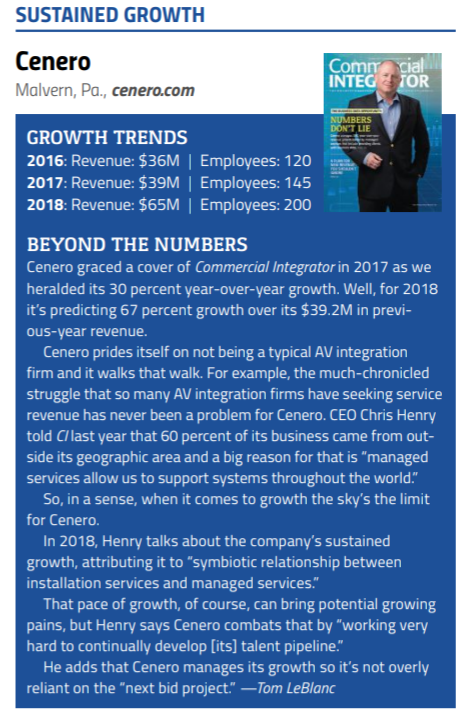 With an expected 67% year-over-year growth in revenue for 2018, Cenero lands on this list of leaders in the AV industry. Malvern, PA – June 29, 2018 – Cenero, a leader in audio visual, unified communications and IT solutions, today announced it has acquired Avectus, an AV systems integration company located in Lebanon, NJ. 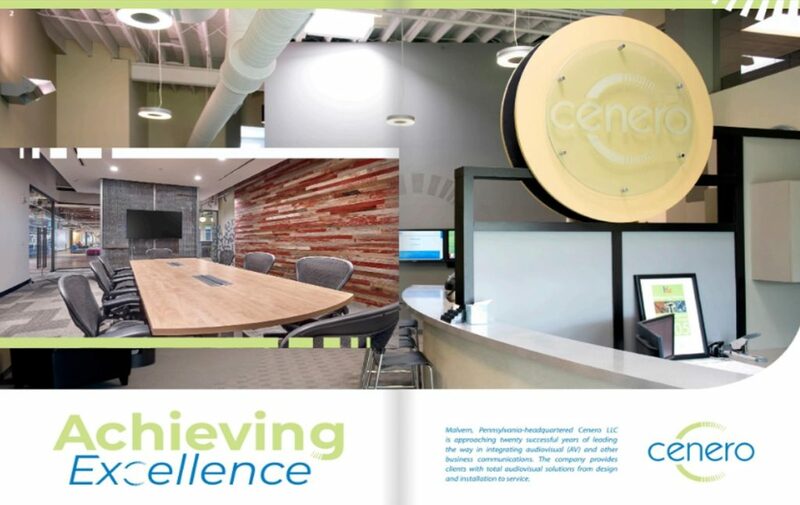 Malvern, PA – January 4, 2018 – Cenero, a leader in audio visual, unified communications and IT solutions, today announced the immediate availability of Constant Connect 4.0, the next generation of their audio visual and video conferencing managed services. 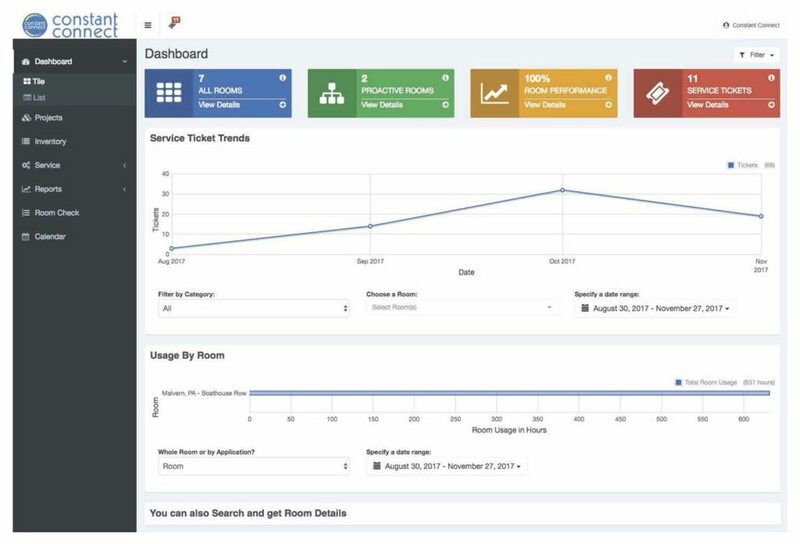 The updated version offers enhanced monitoring and reporting capabilities and a more robust and interactive Analytics Dashboard. 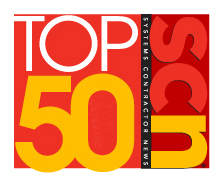 Malvern, PA – November 30, 2017 – Cenero, a leader in audio visual, unified communications and IT solutions, today announced it was included in the list of top 50 systems integrators by Systems Contractor News. The list details integration firms who have generated top revenue in commercial AV installations in 2017. 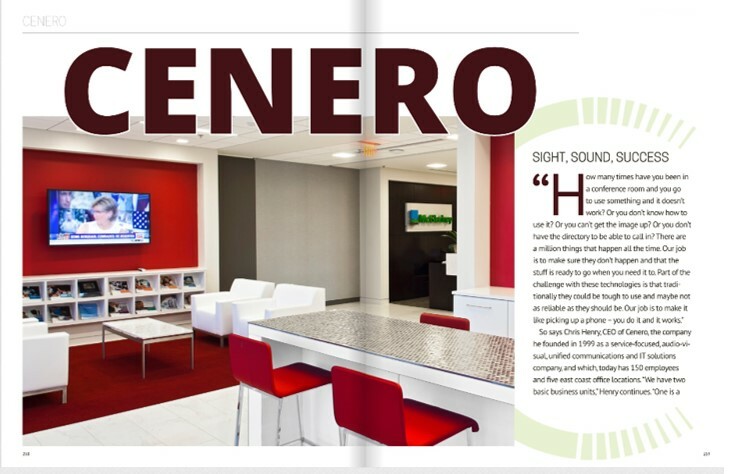 A recent article in Business View Magazine talks about how Cenero is redefining the rules of the conference room, read the article here.